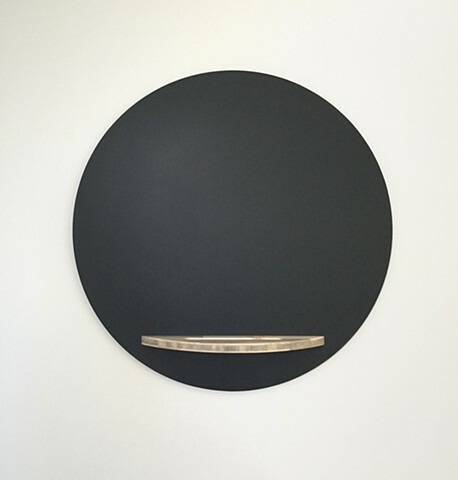 This modern chalkboard circle is handmade and hand finished. The curved tray is made from beetle kill blue pine which is cross laminated with a block core. Yes, this photograph is color.